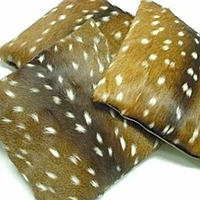 Axis Deer Fur Decorative Pillow - Swatches may be available. Considered to be the most beautiful of deer, the axis deer (also known as chital deer or spotted deer) has a reddish-brown coat marked with rows of white spots. 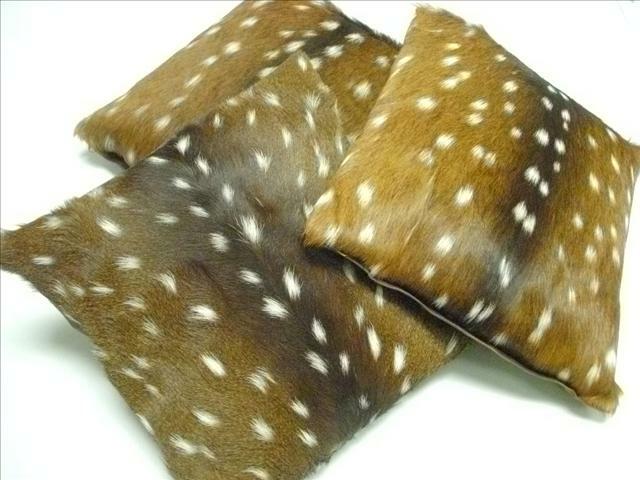 These natural fur decorative pillows will make a unique and glamorous addition to your home.